The Cry done by Edvard Munch was done in 1893 with casein on paper.It is one of the first expressionist paintings of its time. I found that Munch was a tortured soul while doing research. 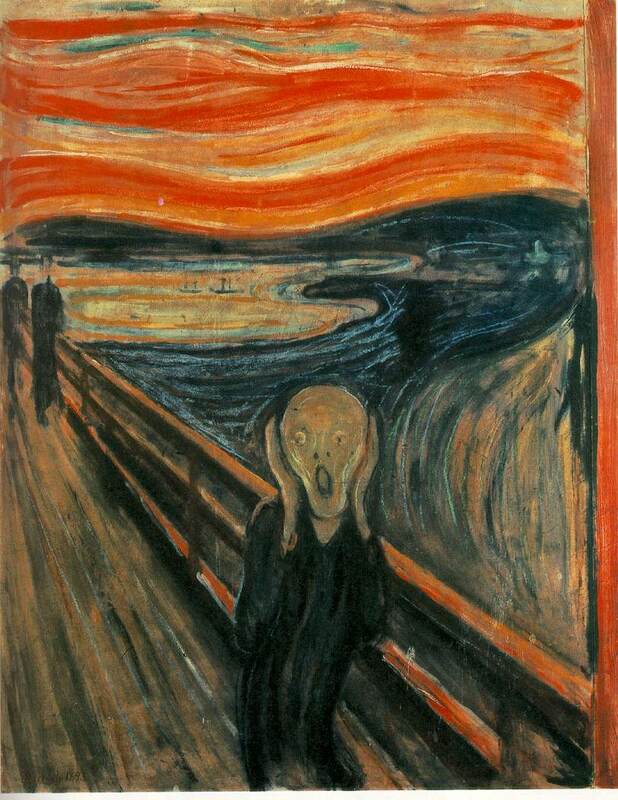 Also I noticed while doing research that this painting is also referred to as "the scream" but in the book it is referred to as " the cry". It looks like the character or person in the painting could be crying out for help or just screaming. But I picked this painting because I sometimes feel like the character when filled with anxiety much like Munch when he painted this.